Barricades were established and lines formed around protesters near the Fighting Stallions statue. 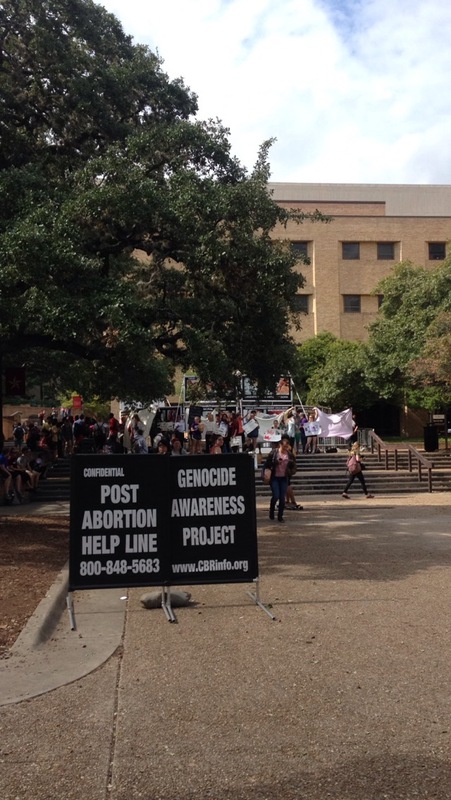 The Stallions mark the University’s designated free speech zone, and were utilized after pro-life advocates presented extremely graphic photos near the zone, lining the statue with barricades while comparing abortion to genocide. 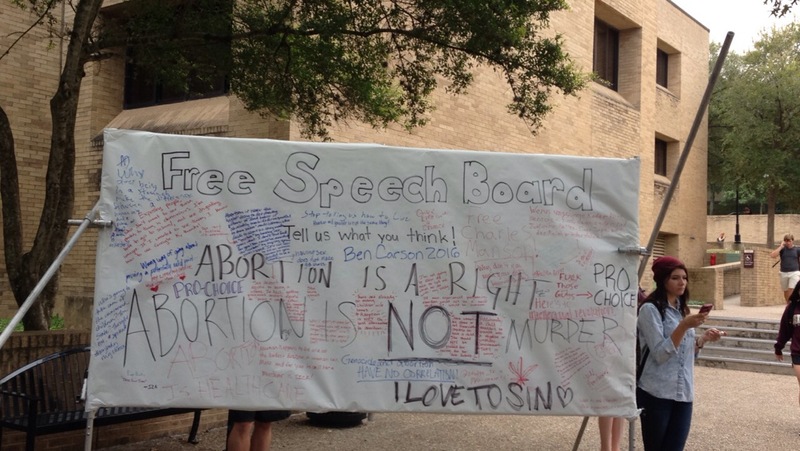 Leader of the Display and member of the Center for Bio-Ethical Reform, Devorah Gilman said she brought the display to Texas State campus because she wants to reinforce that the abortion issue is a human rights issue. 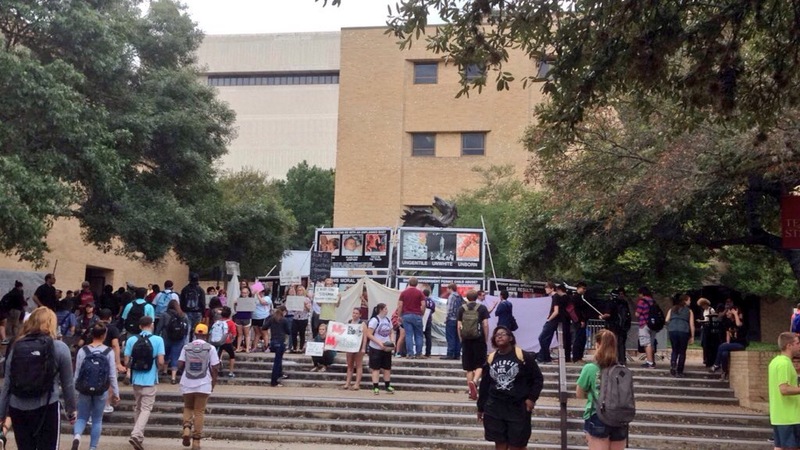 Texas State University organization, Feminists United were notified that pro-lifers would be setting up a demonstration that would be bigger than anything they had done before. When Feminists United arrived, the demonstration was already set, where members of Feminists United found it hard to effectively counter-protest in an organized way that still abides by rules set by the University. Feminists United member Holly Doyle was one of many students who countered the display by holding sheets to block the graphic photos. Doyle said students fighting against the display are working to combat the stigma of abortion that is pushed by pro-lifers. Members of Feminists United said the photos displayed by pro-lifers are photo-shopped and medically inaccurate. Doyle said the photos of fetuses will say “a fetus is a lot younger than it actually is” when shown in a graphic. But Gilman argues that the pictures displayed have been approved by experts.